If you’re an Amazon loving Tomato, you’re going to love them even more. 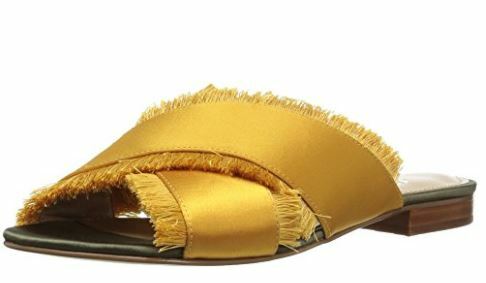 Amazon has just launched their own private-label shoes, handbag and accessories line, called The Fix. Based on the latest trends and designers’ looks, but with prices that range from $49 to $140. 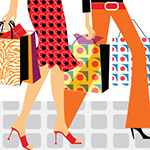 You’ll find fashion sneakers, ankle booties, stiletto flats and embroidered crossbody bags, among other trendy items. The merchandise will train monthly. Right now, the line is available only to Amazon Prime customers. If you’re not a Prime member you can get a free 30- day trial and get your Fix. Here are 6 items we love. We love this mini top handle crossbody bag that converts into a mini bucket bag with beautiful suede detailing on the flap closure. $79, Amazon. 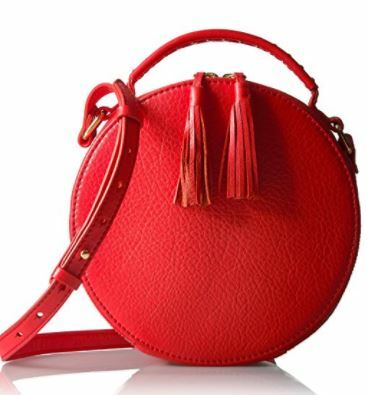 Structured round crossbody bag in smooth tumbled leather with tassel zipper pulls and gold-tone hardware. $99, Amazon. OMG. How cute are these? And they come in 4 colors and different fabrics. $69, Amazon. 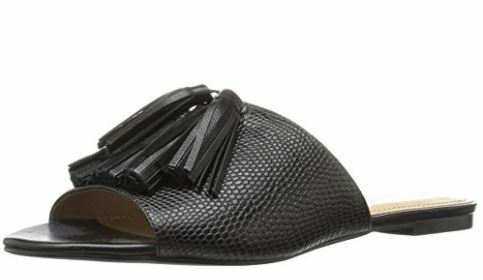 These leather slide sandasl feature oversized loafer-inspired tassels. $75, Amazon. 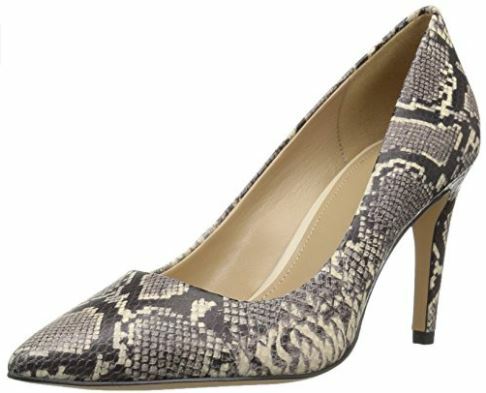 A great classic suede pump. Come in 4 different colors, including solids. 3 ¼ inch heel. $99, Amazon. 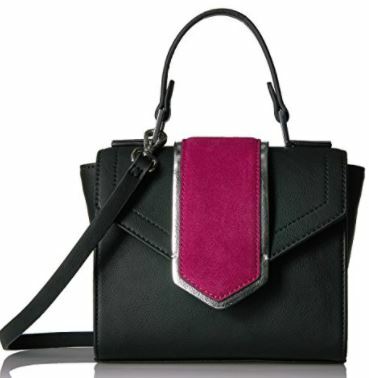 Bailee color block top handle satchel bag is a perfect go to bag season after season. 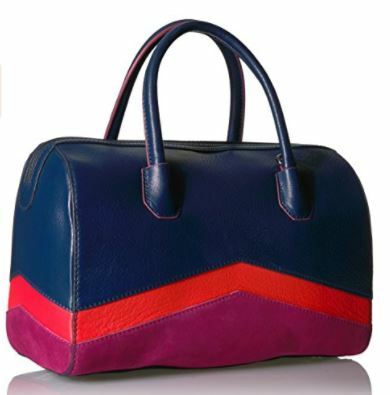 The mix of leather and suede make this bag a beautiful material and color play. $139, Amazon.